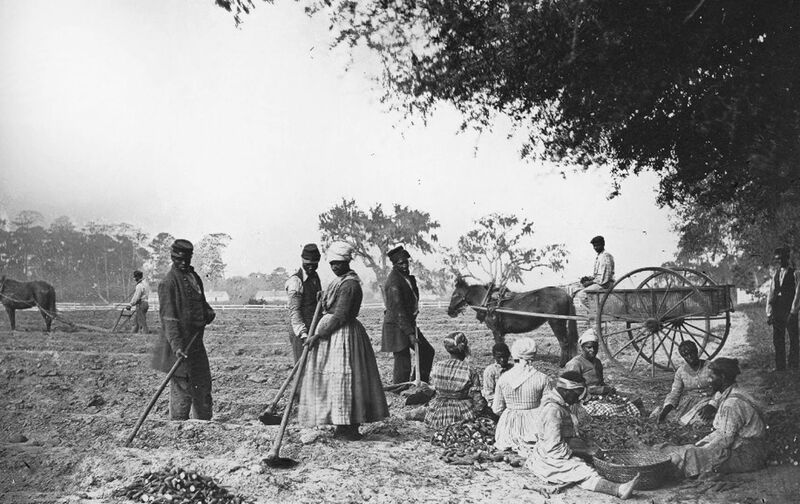 With Georgia’s ratification of the 13th Amendment on this day in 1865, slavery was finally declared incompatible with the ideals of the United States Constitution, and was prohibited. In August, as the measure, passed by Congress the previous January, made its way through the state legislatures for ratification, a month-old publication called The Nation commented on the meaning of emancipation for American democracy. The framers of the Constitution of the United States did not dream that the compromises with slavery, which they so reluctantly consented to incorporate in that instrument, enclosed the seeds of the wickedest and bloodiest civil war that the world has ever seen. Believing a union of the States indispensable to the national life, and therefore a paramount necessity, they were too easily persuaded that, for the sake of achieving so great a good, they might safely make terms with the supporters of a system which they acknowledged to be inconsistent with republican principles and a blot upon the national character, but which they thought was sure of extinction at no very distant day. But the attempt of a nation to shield with the forms of law an institution in flagrant antagonism with its highest professions, and with the principles of justice and humanity, is alike impious and demoralizing, and, if long persisted in, is sure to undermine the foundations of social order and public security. The rebellion of 1860-61 swept away in a moment the constitutional restrictions by which slavery had been so long protected, and the withdrawal of the Southern senators and representatives afforded an opportunity to the Thirty-seventh and Thirty-eighth Congresses to expunge from the statute book the whole series of measures designed to strengthen and perpetuate slavery, and to propose to the Legislatures of the several States an amendment to the Constitution abolishing and for ever prohibiting it on every part of the American soil. Nothing could better illustrate the power which slavery had acquired over the Government than the hesitation of an anti-slavery Congress to undertake this work of expurgation and reform. The habit of regarding the system as beyond the jurisdiction of the national Government was so strong that members found it hard to believe, at first, that the old limitations were removed, and that they were actually at liberty to legislate in accordance with the principles of impartial and universal liberty. It took four years to do the work which might and ought to have been done in a single month. But the work, thank God! is done at last.